In the latest episode of Larry King Now, the original Captain Kirk, William Shatner, opens up to Larry King about his friendship with his Star Trek co-star, Leonard Nimoy, and why they drifted apart before Nimoy recently passed away. 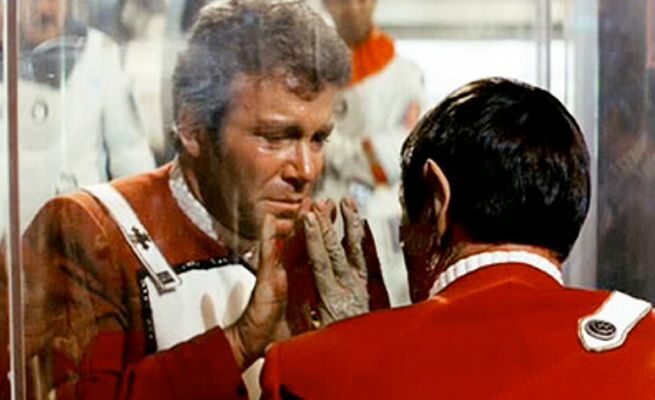 In time for Star Trek’s 50th anniversary, the Hollywood icon was at a loss when King pressed him for answers on their supposed rift towards the end of Nimoy’s life. You can check out the Larry King Now clip below -- and be sure to tune in to Ora.TV for the full interview.